Dr. David Newman, founder of DrumHill Pediatrics, was inspired by his passion to provide our community with a medical home where families and pediatricians could develop a lifelong partnership in supporting children to achieve optimal health. Dr. Dave, as his patients call him, is always available to speak with families regarding any questions or concerns. David Newman completed his pediatric residency at the University of Maryland. He graduated with honors from the University of New England Medical School. Prior to receiving his medical degree, Dr. Newman was a teaching and research fellow at Dartmouth College in cell and molecular biology following his graduation from Hamilton College with honors in Biochemistry. 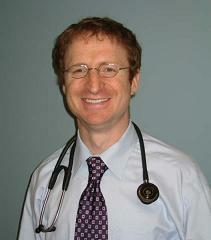 He particularly enjoys practicing general pediatrics and has a special interest in asthma and developmental medicine. His research on asthma disparities in the circumstances of asthma deaths was published in the Journal of Asthma. Prior to founding DrumHill Pediatrics in 2007, Dr. Newman spent four years in private practice in Chelmsford. He was pleased to return to Chelmsford, and continue the proud family tradition established by his father Dr. Irving Newman, a long-time pediatrician in this community. When not at the office, Dr. Newman loves spending time with his wife, young daughter and son. He enjoys road biking, jogging and photography. Dr. Newman is Board Certified in Pediatrics, a Fellow of the American Academy of Pediatrics, and a member of the Massachusetts Medical Society.